While they are most widely known for their support for Jamaican schools and athletes during the annual Penn Relays in the USA, New York-based volunteer organisation Jamaica Bickle is committed to assisting other efforts. This was underlined by Irwine Clare, head of the organisation, during a recent Editors’ Forum at The Gleaner. 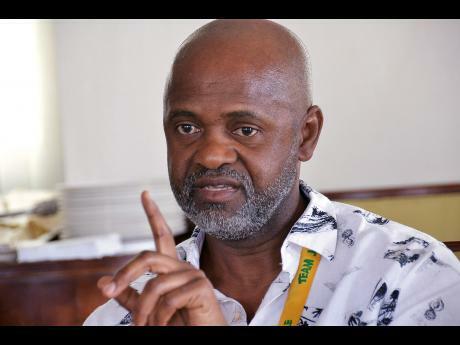 The Jamaica Bickle organisation goes above and beyond to assist local high school athletes with food, accommodation and transportation on this yearly trip to the US, but Clare revealed that their support to Jamaican athletes and teams goes far beyond track and field. Other sports and sporting bodies, including rugby, football, netball, Special Olympics, and the Jamaica bobsleigh team, have sought their assistance and benefitted from their benevolence on their travels to the USA in the past. However, Clare believes this is just a result of the reputation and reliability they have established for themselves in their 24 years of operation. “If you put your shingle out there to help someone, it stays out there, and people see the shingle, so you have to be prepared to respond and usually your commitment for your single shingle is about fulfilling a wider commitment … ,” Clare stated philosophically. He said they are able to manage spontaneous requests for accommodations, transportation and such for these teams because of the network and contacts they have built over time, and the love and adoration Jamaicans overseas have for their sporting ambassadors. “There are always businesses and people that are willing to help. Whether it be football, rugby, Special Olympics, netball – wherever we can help, we try. Sometimes we cannot directly do it, but we can find someone to source it. So even if we don’t have the money, we have the connections to make it happen,” Clare noted.